It was a quieter and, dare it be said, chastened elite that convened at the annual meeting of the World Economic Forum this year. When domestic political turmoil robbed attendees of last year’s political draws—the American and French heads of state, and Britain’s Prime Minister, Theresa May—Davos turned into a work week wrestling with private consciences and inconvenient truths. Foremost was the now inescapable fact that a planet force-fed on a diet of environmentally and socially irresponsible policies will not prioritise humanity. And that people who are left to fester in poverty and resentful inequality will reciprocate the same disregard for their leaders and institutions. Levelling the heights of privilege is often a feature of the Davos forum, when the rich also have to negotiate the town’s slippery, icy streets and accept that anyone can engage with them openly and at close range. So, in true Davos style, it was time to distinguish between globalisation—the organic and largely positive exchange of ideas, goods and services around the planet—and globalism, the melting phenomenon, not only of ice caps, but of trust between governments and citizens that is undermining the rules-based order of the last seventy years. As a result, the topics of global warming and forced migration became the principal lens through which all human activity was measured. Together they are on course to turn the fourth industrial revolution into the Anthropogenic fifth, and perhaps final one driven by humans. Whether it’s the weaponisation of suffering or the soul-depleting loss of icebergs plunging into the sea, it was hard to avoid what survival on Earth is beginning to look like, irrespective of trade wars and political intrigue: people and animals, stripped of hope and nobility. This year’s rockstars, therefore, were the exponents of people’s better selves. Jane Goodall and Sir David Attenborough injected participants with elegant and powerful doses of environmental conscience; and Dr Denis Mukwege, one of two 2018 Nobel Peace Prize recipients, stunned with stories of the female spirit through the 52,000 (that’s fifty-two-thousand) girls, women and children he has treated for sexual violence. A humbled haut monde was forced to peer downwards, into the ever-growing abyss of wealth disparity. The message that businesses and philanthropy must be measured by the yardstick of how effectively they grow and share prosperity still jarred, however, with the 1,500 private jets delivering competing VIP’s to the Swiss gathering. There was a kinder and empathetic element, palpable in this year’s less frenetically-packed halls and corridors. Nevertheless, it was with a sense of defiance that those panel speakers who once pleaded politely for the world’s elite to listen, now challenged corporate executives to explain business practices that favoured shareholders over stakeholders, unfair tax arrangements, offshore loopholes, and undignified employment over social welfare—none of it corrupt but all infinitely corrosive. Moreover, if data is the new currency, human capital must be its beneficiary. With Macron’s absence, his young telegenic peers filled the void. Italy’s Giuseppe Conte, Spain’s Pedro Sanchez and Austria’s Sebastian Kurz—gently bumping against the left and right sides of the political spectrum—spoke as rational, coherent and proud nationals of Europe, each identifying the causes and detrimental effects of economic stagnation, while hovering over the dial on migration. Humanitarians were given greater airtime, and the momentum-gathering option of private-public impact investing in fragile economies stood out as a way to help reach the UN’s sustainable development goals by 2030. With multilateralism on the wane, business is stepping up, sensing an opportunity, also to do good. Though there were the usual prevailing “manels” of middle-aged white industry and political leaders discussing the world’s future, there was also a kinder and empathetic element, palpable in this year’s less frenetically-packed halls and corridors. Women’s participation was still a paltry 22%, with some watery optimism that this year a greater number emerged from senior business levels. The ultimate cardholder of female power, Angela Merkel, came across as relaxed and magnanimous—at peace, it seemed, with ceding her leadership of the complex day-to-day politics of distrustful electorates and intractable problems. In the end, Davos 2019 offered a week to pause over uncertainty. What multilateral institutions will tackle world problems at speed and at scale, or spring up alongside old ones? Will new regulatory systems and methodologies for the storing, secure sharing and ownership of data be multilateral or fragmented along bilateral, geographical lines? And will these new ecosystems shore up or undermine democratic principles of governance? Equally, are humans finally poised to become guardians of the planet? 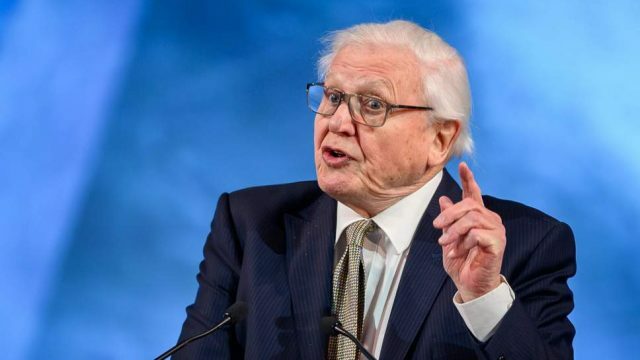 “We no longer need to pollute the world and resource traditional energy sources…we have the power and knowledge to live in harmony with nature,” David Attenborough reminded the Congress Hall’s enraptured audience. When the future is about decisions versus choices, the answers might still rely on the number of private jets feeding Davos next year, which in 2019 grew by 11%, compared to the ratio of women participants, up by just one. Or perhaps those decisions will move into the hands of a younger, savvier and more diverse generation—refreshingly present at Davos in large numbers this year. As the main users and consumers of data, they can de-leverage traditional business and politics with their own hard currency of trust in transparent supply chains and built-in social impact. For want of a better answer, here’s hoping.